HP said Thursday it will issue an optional firmware update that will allow customers with certain inkjet printers to use third-party cartridges again, a capability HP had quietly taken away in the name of quality. HP said it will provide the firmware update in about two weeks via a dedicated support forum. According to the BBC’s original report about the incident, the affected printers are the small-business OfficeJet, OfficeJet Pro, and OfficeJet Pro X. It wasn’t immediately clear whether updated firmware would roll out for all affected models at the same time. Customers with immediate concerns can email HP at print-hpi@hp.com. Authorized HP printer ink cartridges contain an identification chip that verifies the authenticity of the ink and cartridge, according to HP. 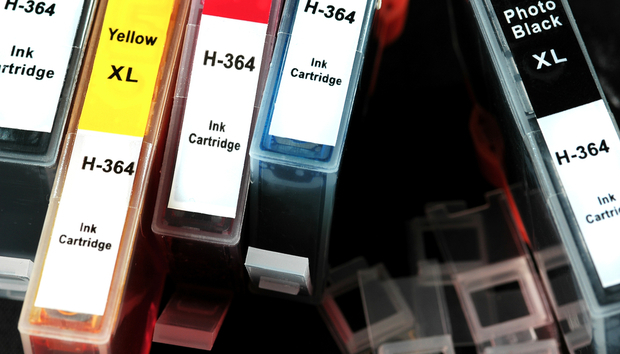 Those chips were installed to ensure that customers don’t unwittingly buy counterfeit or sub-par inks “that infringe on our IP [intellectual property],” HP said. Why this matters: Providing an optional means of weeding out third-party ink is one thing. But customers became outraged when HP began enforcing that authentication earlier this month, preventing third-party ink cartridges from being used at all with certain HP printers. As we’ve noted previously, some printer ink can cost more than human blood, making it cheaper to buy a new printer than a new cartridge—or turn to a third-party supplier charging less. HP’s update earlier this month blocked consumers from making that choice, and that struck more than a few customers, as well as the Electronic Frontier Foundation, as unfair. The firmware that HP released earlier this month introduced a dynamic security feature that prevented some untested third-party cartridges that use cloned security chips from working, even if they had previously functioned, HP said. That thwarted cartridges with cloned chips, such as those manufactured by Dutch cartridge maker 123inkt, the company that sounded the alarm. Customers are under no obligation to download the firmware update. In addition, HP emphasized that third-party inks made from remanufactured HP cartridges were never affected. “All third-party cartridges with original HP security chips continue to function properly,” the company said.